Extreme leftist group insists tours to show 'settlements' in negative light will be in high demand. Tours throughout Judea and Samaria have become ubiquitous in recent years - covering historical sites throughout the region, exploring wineries, and providing support for the brave Israelis who live there for the sake of resettling the Jewish homeland. But on Tuesday, ultraleftist Peace Now has insisted that another type of tour be conducted: a tour of the Arab villages allegedly 'victimized' through 'Price Tag' attacks, according to Maariv. Peace Now is organizing the tours itself, with a focus on graffiti, arson, and vandalism allegedly carried out by Jews against Palestinian Authority (PA) villages. The goal: to garner more international sympathy toward the PA Arabs in the conflict with their Israeli neighbors. The organization has already set dates for the tours, but has declined to make a formal announcement, according to the daily, which added that there are concerns that the move could cause a backlash from nationalists. Peace Now director Yariv Oppenheimer insisted that the tours, once announced, will be in high demand. "There is a great thirst, especially from students and young people, to see reality with their own eyes," Oppenheimer claimed. "The point is to present a geo-political picture of the situation and to show that the settlement movement is hurting our chances for achieving peace and harming life in the region." "This type of harassment needs to be exposed to the public," Oppenheimer added. The leftist leader also promised that the tours would include spots where "hostilities were directed at IDF soldiers" and said that they would be visiting "the most militant outposts" - but declined to publish where, "for fears that settlers would block the roads and compromise the tour's safety." The tours are allegedly the movement's direct response to the highly successful tours conducted by pro-Israel, nationalist, and regional groups through which thousands of Israelis, tourists, and even US officials have seen the beauty of Jewish communities in Judea and Samaria. The tours have even won over the hearts of leftist journalists. 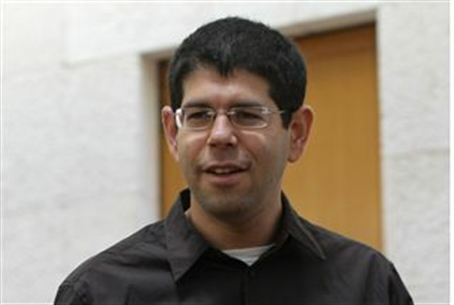 Yesha Council Vice President Yigal Dilmoni stressed Monday that in contradistinction to claims by leftist groups, their tours simply provide Israelis with information about the communities there and are specifically "without an agenda."